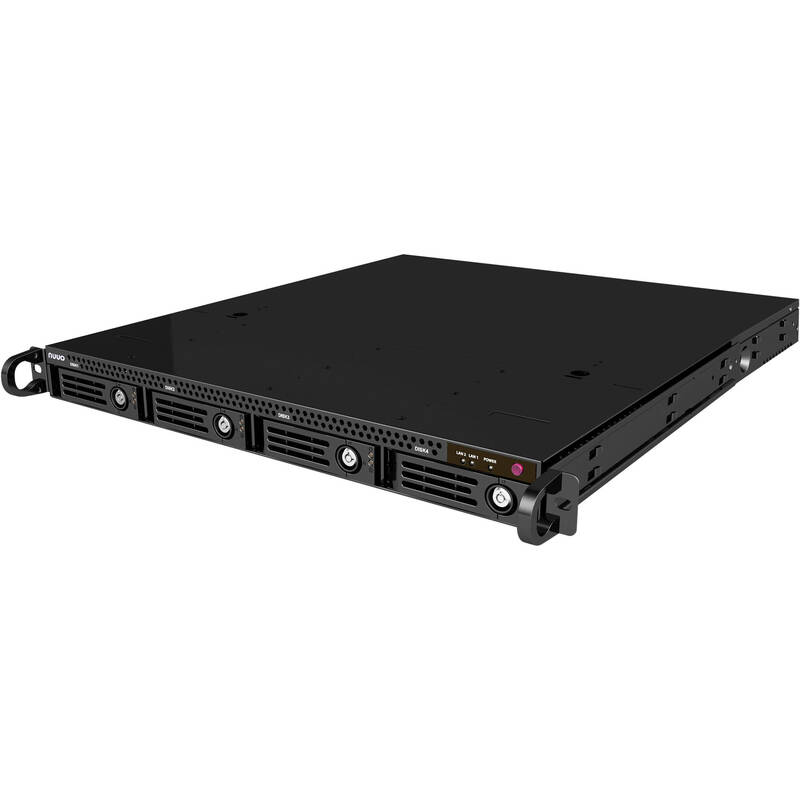 The 4TB CT-4000R Crystal 1U Rack-Mountable 4-Bay Network Video Recorder from NUUO is a Linux-embedded recording solution that supports H.264 encoding for up to 64 channels with a throughput of 250 Mb/s. Featuring a modular system structure that is made to handle large project sizes, NUUO Crystal is the suitable choice for enterprise solutions. The benefits of a modular system design are that not only can it be managed centrally, down to a process level, but every module can also work independently. When a process fails, only that process module shuts down and the rest of the system will continue to function normally, further enhancing system stability. NUUO Crystal NVRs features recording failover function to safeguard server uptime and performance consistency. The failover function can be assigned and managed as a cluster, so that N+M redundancy can be achieved. The NVR features support for unlimited numbers of cameras, 3rd party access control systems, POS, and I/O devices. Any number of users and user groups may be assigned different levels of management rights, monitoring points, and event processing. Combined with the intuitive NuClient software to provide centralized live view and playback video stream, the NUUO Crystal NVR provides the user with total control over the entire system at their fingertips. Utilizing a custom recording technology known as File Ring, the NUUO Crystal NVR is able to handle high megapixel recordings. The NVR is able to maintain data throughput up to 250 Mb/s for a single volume. The NUUO Crystal NVR supports an unlimited number of video wall displays, up to 100 channels per monitor. With a built-in View Wizard, changing view configuration is as easy as dragging and dropping different view grids. It also features Image Fusion to stitch multiple views into one single picture. Combined with PTZ joystick control, a fisheye dewarp algorithm, and video tour modes, reviewing and monitoring are simplified. The intuitive GUI enables users to easily export instant playback video or sync to playback. It is suggested to use 64-bit system for best system performance. It is suggested to use a 64-bit system for best system performance.